With its delicate and light scent, this effective deodorant respects the skin, whilst providing wellbeing and freshness every time it is applied. 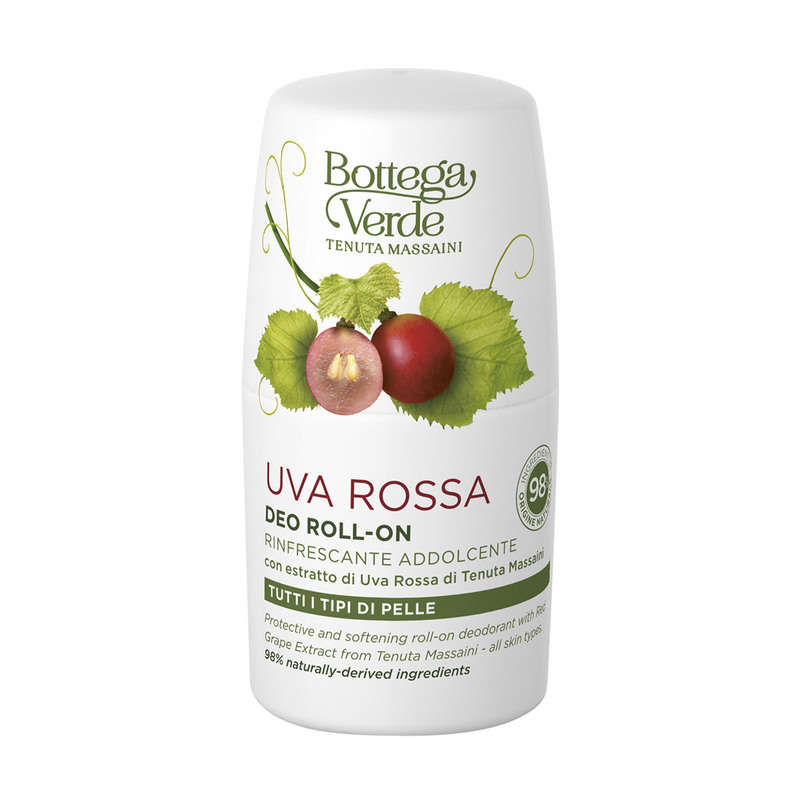 Its special formula containing Red Grape extract from Tenuta Massaini effectively deodorises without altering natural perspiration and it can also be used after hair removal. Its practical roll-on design makes it easy to apply... leaving you feeling fresh and clean for longer. This delicate formula effectively deodorises without altering natural perspiration and it can also be used after hair removal. - 0% alcohol, aluminium salts, parabens, formaldehyde releasers or colourants. - We have sourced an antioxidising and antiaging extract from our carefully selected, high-quality Red Grapes. Scent:FLORAL, ORIENTAL, CITRUSY, MUSKY - SWEET. Suggestions:For anyone who wants a delicate deodorant that does not alter natural perspiration. Characteristic:Choose it if you want a product that contains no parabens, formaldehyde releasers, mineral oils, silicones, alcohol, colourings, EDTA or aluminium salts.